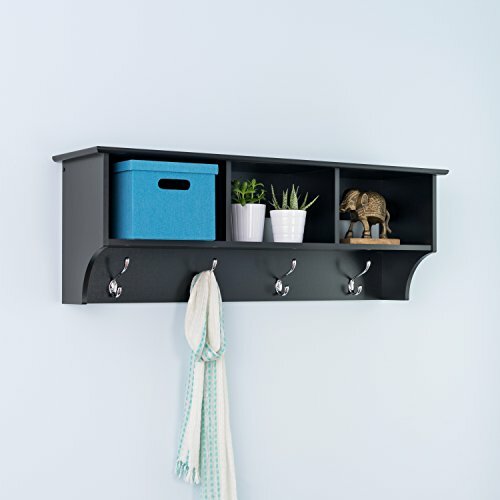 This intelligent & practical storage design is well suited for any front hallway, mudroom or home office. The three storage compartments are ideal for hats, gloves and schoolbooks while four large hooks accommodate coats & jackets. Comes with our easy to install, two-piece hanging rail system and is an ideal companion piece for the Cubbie Bench. Constructed from a combination of high quality, laminated composite woods with an attractively profiled MDF top.